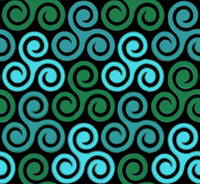 While most of the text is familiar to those who've visited our website, the book also contains 37 pages of additional material, including a glossary and pronunciation guide which provides readers with an introduction to the Celtic languages, as well as pronounciations for many Celtic terms and Deity names (in Irish, Gaelic, Old Irish, Welsh, Scots and Gaulish). It is indexed and thoroughly cross-referenced, making it very user-friendly for beginners as well as those with many years in the tradition. A preview is available here. All proceeds are being donated to Gaelic language and cultural preservation charities, in the Celtic Nations and worldwide. All labor for the writing, editing, formatting, illustration and design of the book was donated by the authors and the staff of River House Publishing, so all profits are going directly to our chosen Gaelic language and cultural preservation charity, An Comunn Gàidhealach Ameireaganach (ACGA). ACGA has agreed to distribute these funds to worthy projects that will benefit Gaelic language and culture, via their Gàidhealtachd Support Grants program. Note: ACGA is not a CR organization. 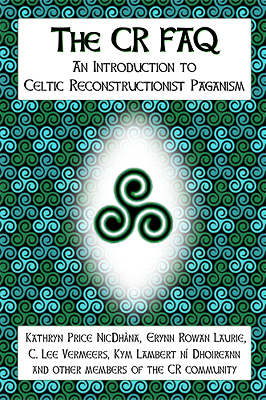 While some CRs are dues-paying members of ACGA (as are people of other religions, or no religion at all), ACGA has no other involvement with Celtic Reconstructionism, this website or the book project. The projects they fund through the Gàidhealtachd grants program are outside ACGA, often in Scotland or Cape Breton. For more details on the program, please visit their website or check out An Naidheachd Againne (see pp.3-4 of this issue for a story on some of the projects your purchase of our book has helped fund). The CR FAQ is copyright ©2006 NicDhàna, Laurie, Vermeers and ní Dhoireann.